PPGV expects financial services to remain a rapidly evolving sector and we are engaged with managers and product developers with novel solutions to investment problems. We are focused on products that allow for more efficient diversification, greater international participation, enhance access to credit and promote free movement of funds. We advise clients on the most efficient and modern methods to manage their platforms and seek outperformance. In particular, we are well-versed in Asian products and non-traditional asset categories. PPGV is focused on technologies that fuel creativity and improve quality of life. We remain fascinated with tools that facilitate image processing and empower designers. PPGV is equally intrigued by opportunities in software, hardware services and is also engaged with technologies that enhance energy efficiency and stewardship of our environment. PPGV is determined to invest in business models that seek to counteract climate change and believes supporting the growth of renewable energy industries is crucial. Toward this end we have donated our time to the US DOE’s Sunshot Initiative to inspire and finance new clean energy companies, by judging competitions and mentoring entrepreneurs. We have also made a number of meaningful investments in the space. .
PPGV feels passionately that there is little so linked to the quality of human life as much as the free flow of ideas, literature, music, art, theater and film. In the context of rapidly changing business models for media delivery, particularly for news and music, PPGV seeks to invest in technologies and strategies that keep these arenas rich vital, honest and accurate. PPGV is committed to the modernization of the US health care system—from care delivery to efficiency of processing. We actively invest in medical technologies, therapies and systems associated with a higher future standard of care. We advise and consult to those with unique visions for improvement of the U.S. health care system and those who present ideas for higher quality, lower cost and more universal delivery of health services. PPGV seeks to encourage new ideas on education at every level. We are fascinated by those organizations that bring meaningful experiences to children and teenagers and help to inform their careers and life choices. From tools, to publishing and to content delivery. We see this sector as one still in its early stages and as one that will reward clear thinking and investment. PPGV is passionate about the potential for innovative strategies and novel products to transform the consumer experience. Our team has decades of experience in this arena and a diversity of case studies to reference in guiding clients. Specifically, we have focused our research on US and Asian supply and distribution chains. PPGV believes that service organizations play a vital role in the global economy. They make businesses more flexible and efficient, and allow organizations to focus on their core arena of competence. We have been active in service business supporting health care, staffing, financial services, and the legal industry. 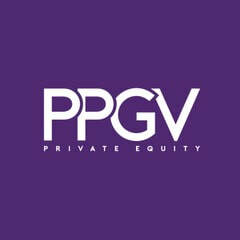 PPGV sees a growing opportunity to acquire assets from industrial holding companies that own broad portfolios. We find many situations where capital, new leadership, business discipline and improved technology can breathe life and enhance profitability of underperforming enterprises. PPGV believes that development of advanced technology is critical to maintaining peace and safety in a world with constantly evolving threats. We see significant opportunities, particularly related to US command, control and communications systems and their associated sensor and intelligence collection assets. The technical and procurement decisions made by the US Defense Department will also influence demand at other federal, state and local law enforcement agencies. PPGV seeks to invest in companies that provide thought leadership in these key technologies and capabilities.